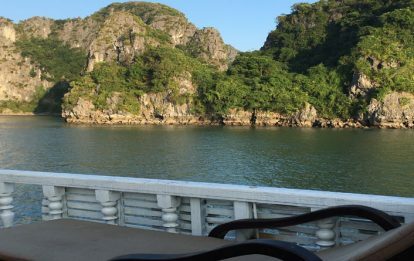 Discover Ha Long bay. 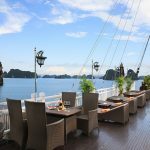 A Halong Bay cruise on a traditional junk is an absolute must whilst travelling in North Vietnam. 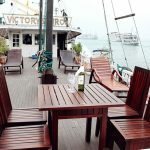 We offer a selection of different cruises in one of the most beautiful bay in the world. 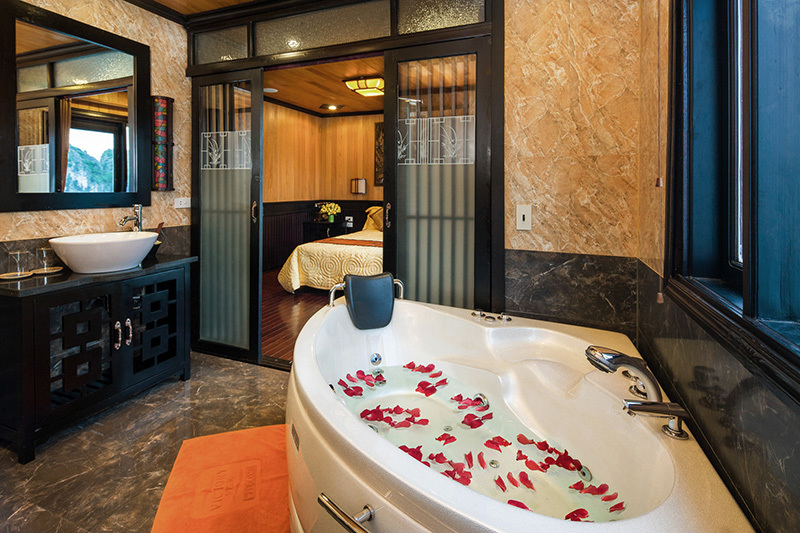 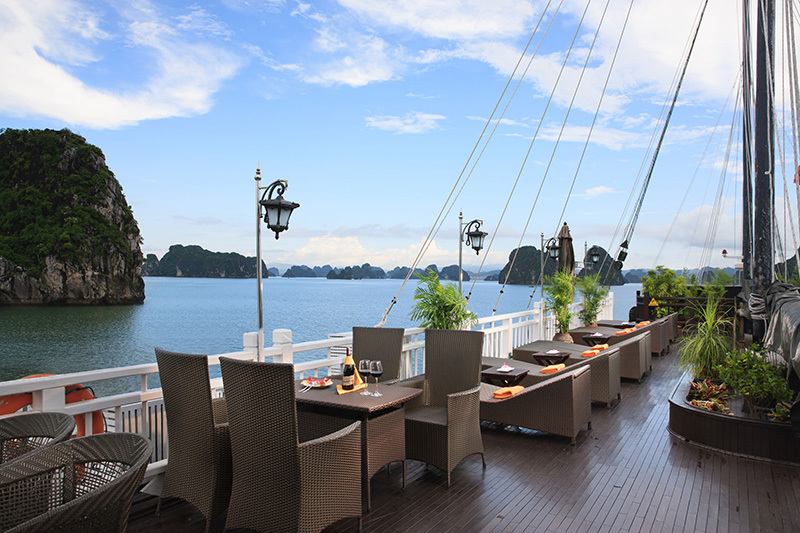 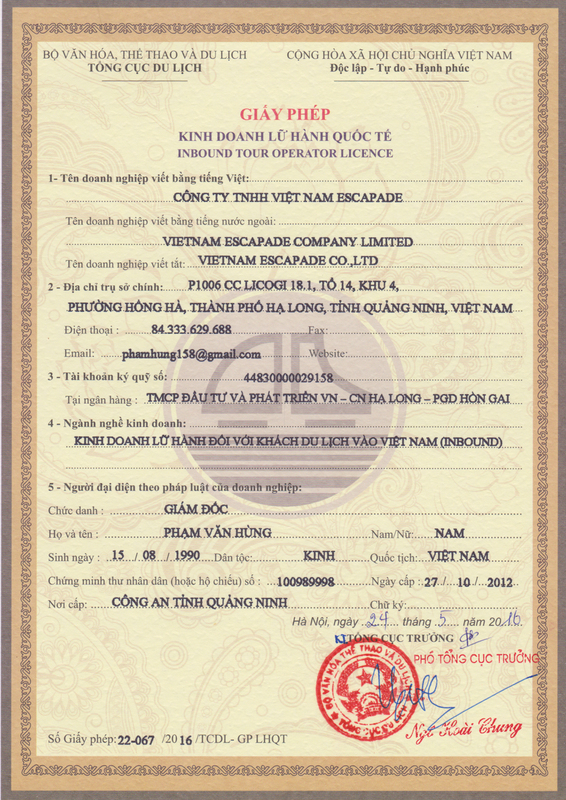 We are the only agency to offer you a personalized welcome service that we consider to be first importance in Halong. 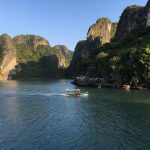 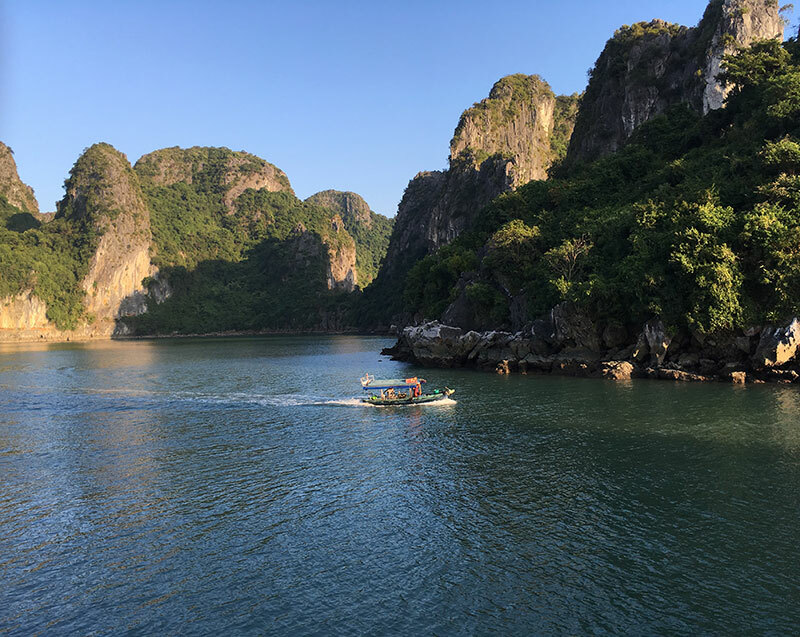 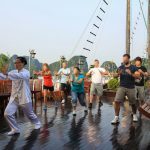 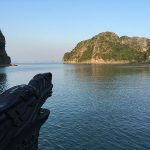 All our cruises depart from Hon Gai and not Tuan Chau like as real tourist factory, and pass on the bay of Tu Long which is much less crowded than the Halong bay. 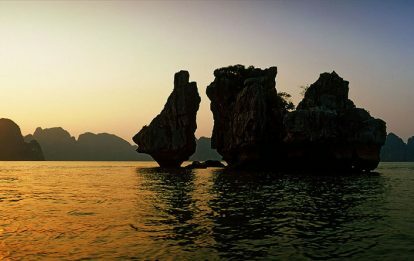 Enjoy all the wonders of Ha Long Bay for 3 days / 2 nights with its enchanting atmosphere. 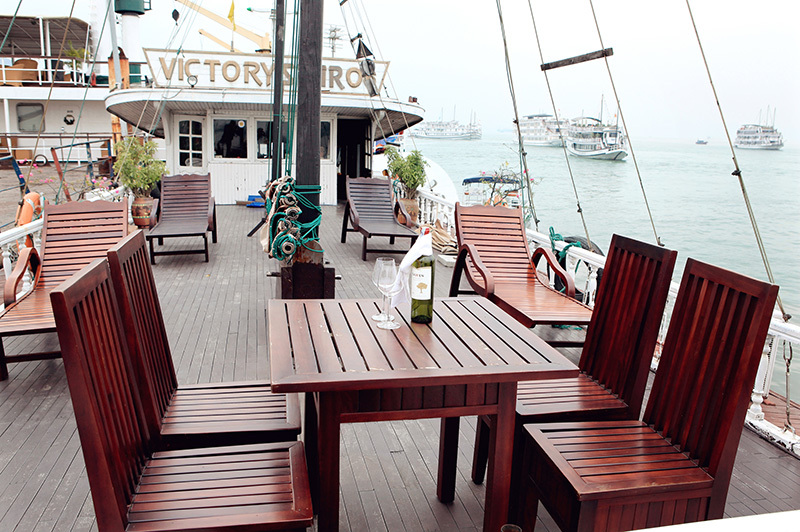 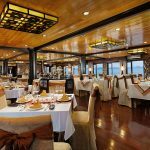 With this duration of cruise you will appreciate all the splendours of the bay. 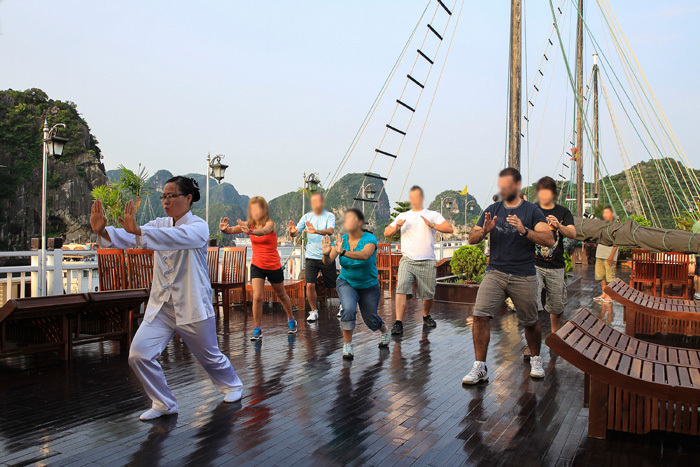 Discover Halong Bay on a private junk at your own pace! 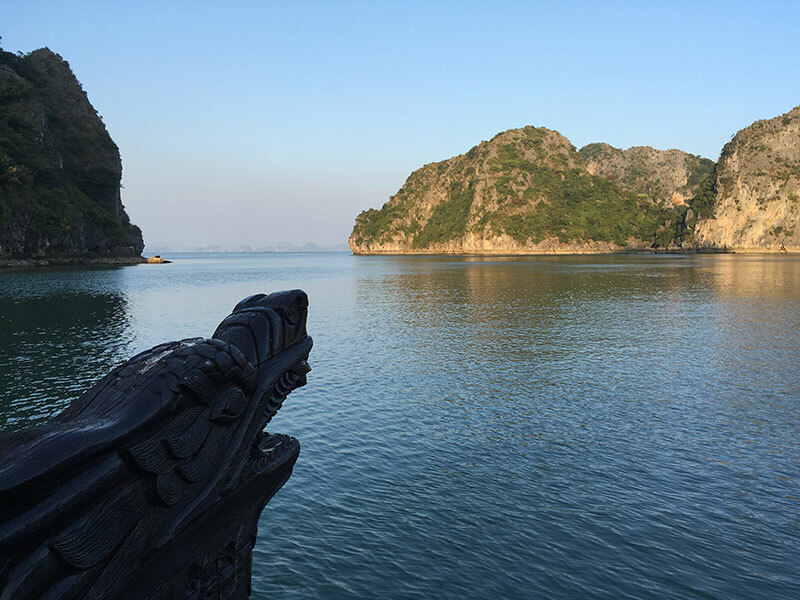 (Complying with the rules imposed by the local maritime authorities). 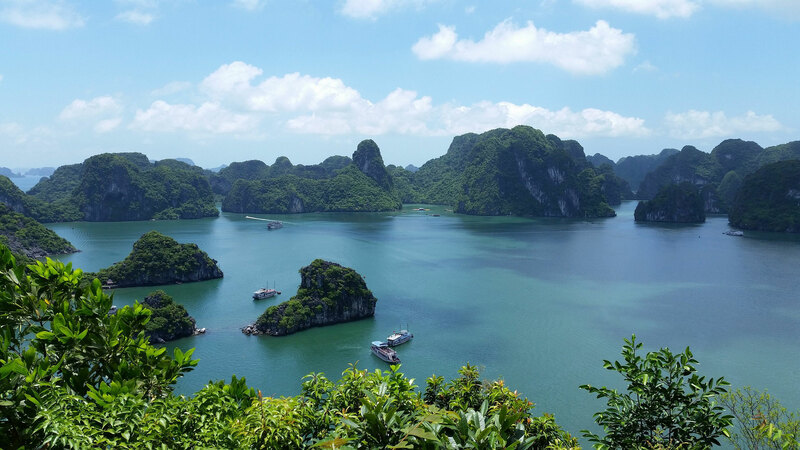 You will have the chance to benefit from a little more freedom for your itinerary. 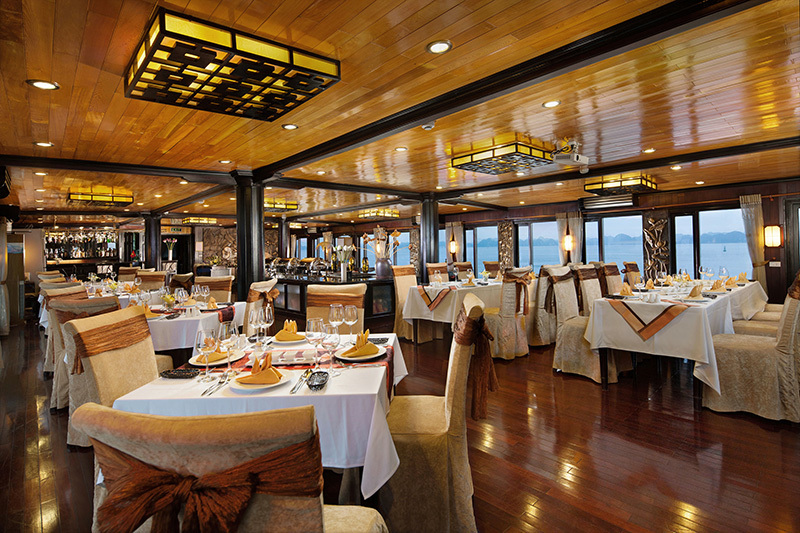 Ideal for families or groups of friends. 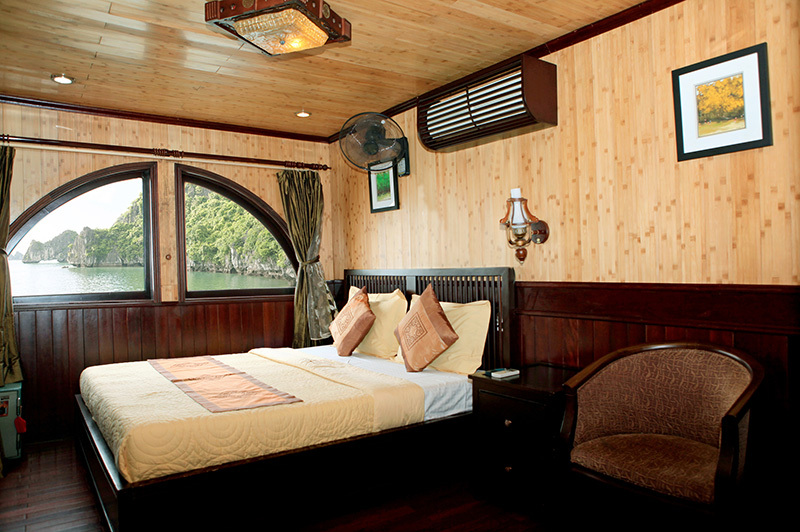 The junk boats in our fleet have been superbly built with carefully selected first class materials. 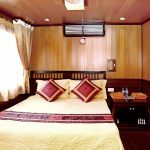 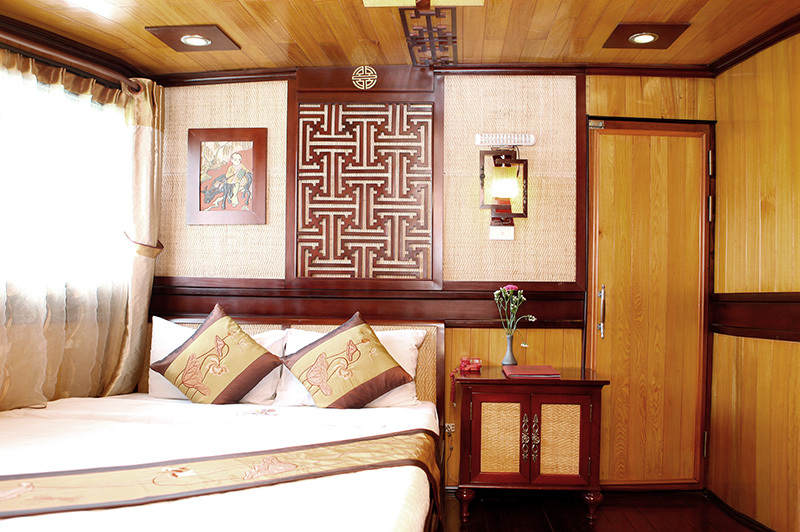 We have a standard junk of 13 cabins, a superior junk of 21 cabins or luxury junks of 24 or 30 cabins. 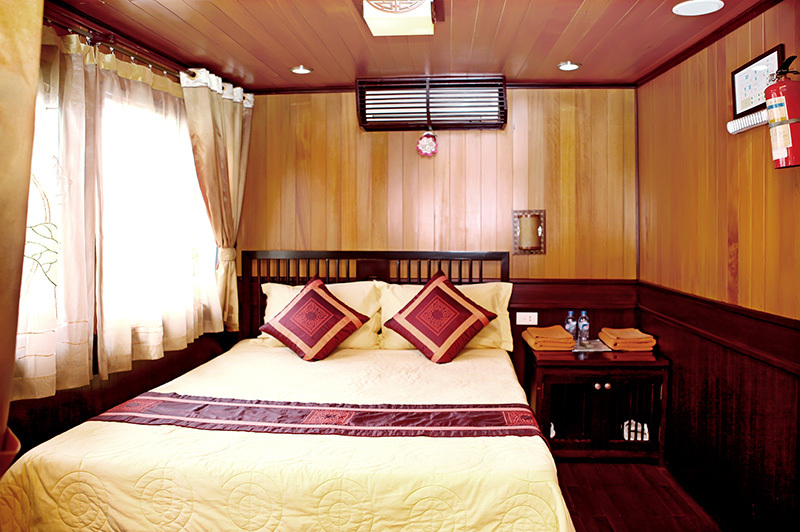 Junk of 21 cabins with reversible air conditioning and a private bathroom. 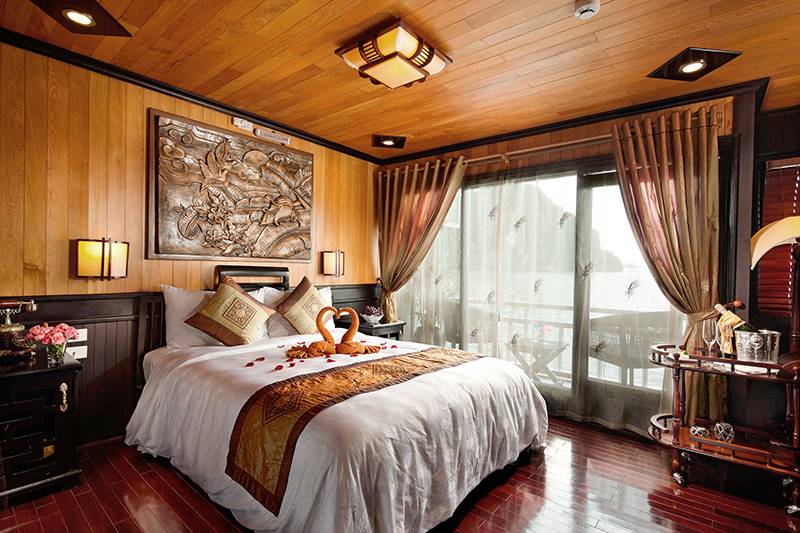 A 30-cabin luxury junk with a private balcony, a junior suite and a presidential suite. 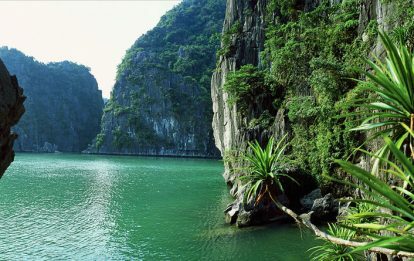 Come and discover all the wonders of Halong Bay!